Teacher can "Add-Remove" other teacher and teacher assistant (TA) in classroom. 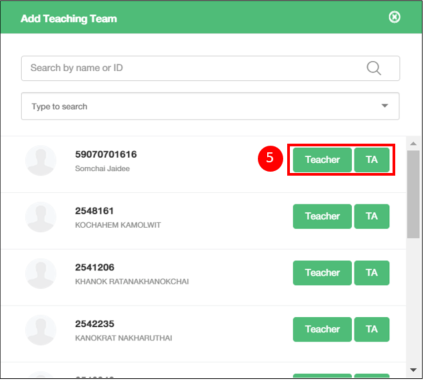 Whoever has been added as "Teacher", they can assess the activity, revise the information in the classroom, add/remove member from the classroom but cannot delete the classroom. Whoever has been added as ‘Teacher Assistant (TA)’, they can also assess activity, see the overview of submission but they cannot add or revise both learning and assessment activity. 4. Add Teacher Team window will be show up. Type name or ID into search-box. 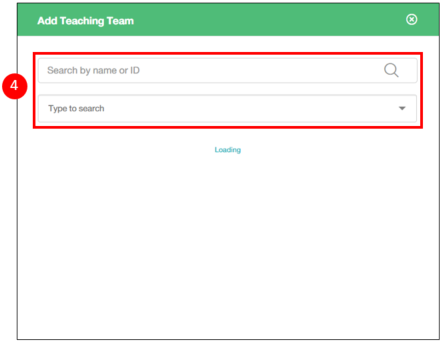 Moreover, teacher can click the combo box and choose the department or major to scope. 5. Click Teacher button to add as a teacher, or click TA to add as a TA. 5. 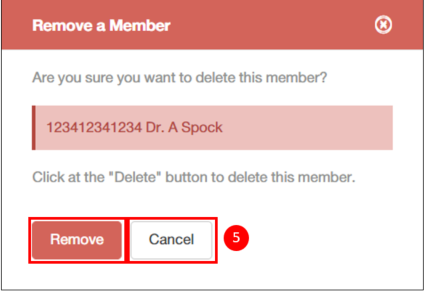 Remove a Member window will be showed up. Click Delete button to confirm or click Cancel to cancel.